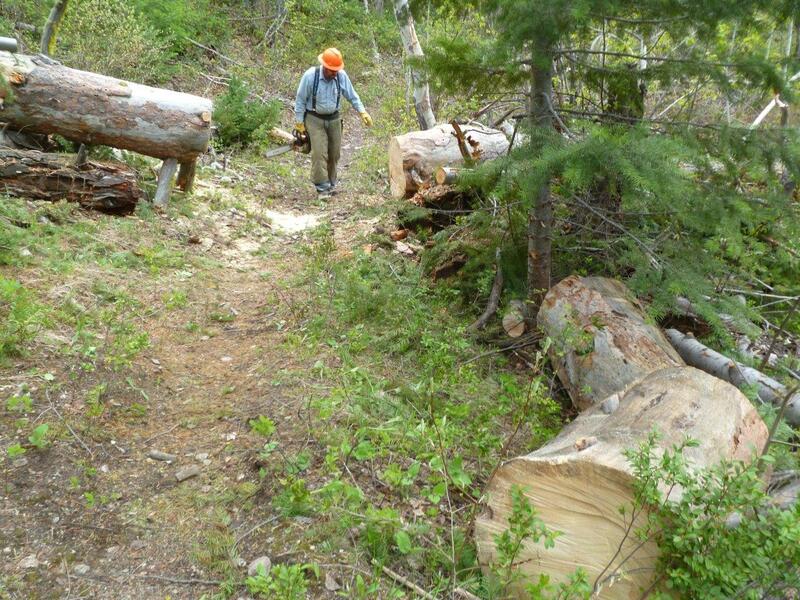 Jan and Bill Ford had been up Twisp River Trail three times and Bill and Pete Stoothoff had been up the trail twice preparing/opening the trail for National Trails Day work. 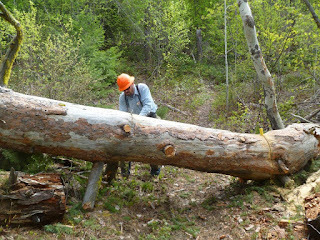 On May 15th a large log was found laying over the trail near the Sno Park so Bill went to work on it... A while later, the log was no longer a problem! 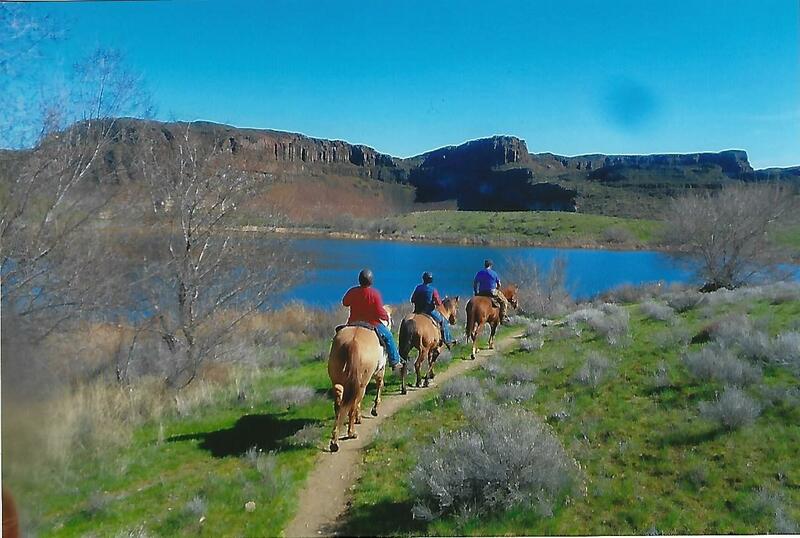 On May 15th Julie Johnson, Jackie Iddings and Mark Brantner enjoyed the Patterson Mountain ride. Weather was very cold but the wildflowers were out in abundance. They had all brought their lunches, but ended up eating lunch by their rigs because it was too cold up top of the mountain! 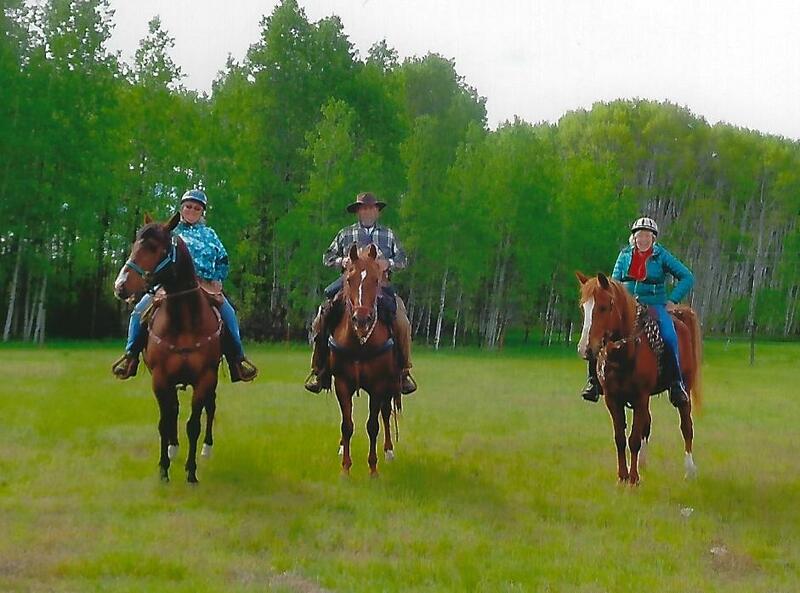 On May 10th Julie Johnson, Mark Brantner and local friend Felicity went on the Golden Doe ride. Beautiful weather, beautiful scenery, and a very nice ride. They were briefly interrupted when they came across 3 rattlesnakes along the trail, which made for a bit of excitement. The snakes were spotted early enough to safely avoid them. Good thing! It was a great Spring Ride again this year! Even with two of the three roads into the Methow Valley closed by weather events of one sort or another, most folks—and some new ones who hadn’t joined the Ride in previous years—decided the fun was well worth the effort. Rig after rig caravanned up Hwy 153 and then onto Hwy 20 to Upper Beaver Creek Road, which had just been repaired from a recent rain washout! Fortunately, the weather held off from further rain squalls until the ride was over, but the following Thursday the Upper Beaver Creek Road was overcome by rain once again resulting in another impassable washout situation. We were grateful that didn’t happen while we still had all our guests in camp! The auction tent is always busy! The auction was amazing; so many wonderful people donated useful and attractive items and our local businesses were generous and eager to help us out with some very special contributions. 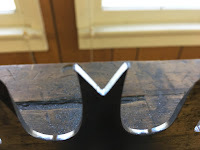 We were hoping for a great auction to fund our work this season—especially getting the North Summit Horse Camp ready—and we were not disappointed. 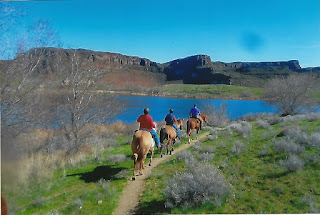 riders decided to have an early spring trail ride and camping adventure. MVBCH members Cathy Upper, Julie Johnson, Betty Wagoner, Mary Pat Bauman, and Mark Brantner wanted to get a head start on this season’s horse camping so they headed south to the beautiful Ancient Lakes/Quincy Wildlife area for an April 3rd, 4th, and 5th getaway. The weather and landscape was more “spring like” than in the Methow Valley and they were able to enjoy 3 days of great rides and a fun campout. Jill Freeze and Beverly Masteller from Davenport joined the group, as well as new rider Cindy Simmons from Leavenworth. One of the group had an MVBCH membership form handy and Cindy signed up to become a new member on the spot! 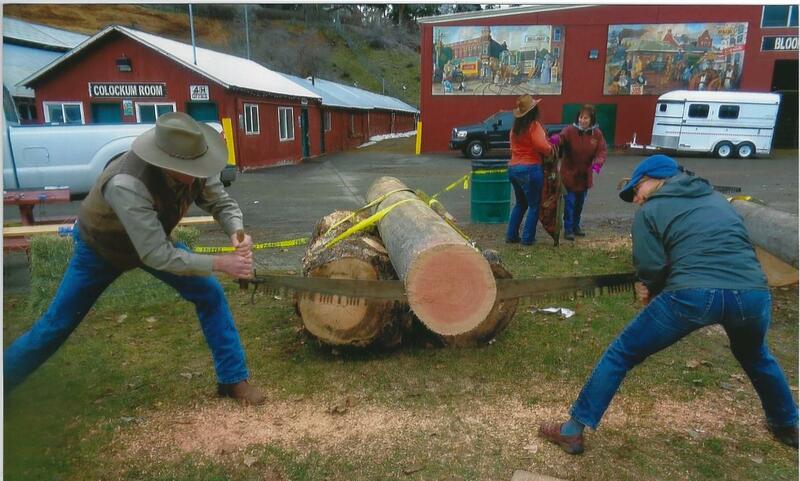 President Cathy takes on Crosscut Saws! 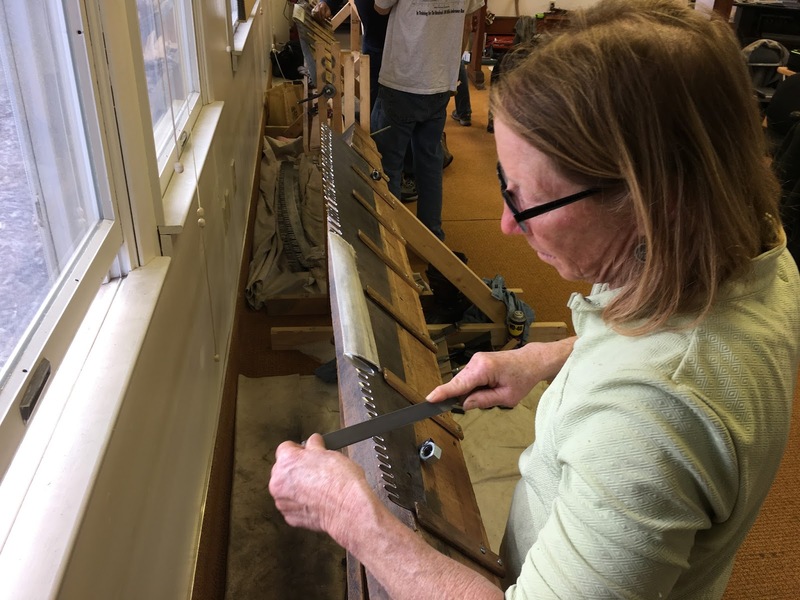 After the Rendezvous in March, our MVBCH President Cathy Upper had the honor of traveling to the historic Ninemile Wildlands Training Center (NWTC) in west-central Montana to attend an intense hands-on crosscut saw sharpening class. The facility, the Ninemile Remount Depot, is listed on the National Register of Historic Places. The Remount Depot was built in the 1930's by the Civilian Conservation Corps as a pack stock breeding/training facility and is still a working ranch. Because of the unique facility and history of training at the Remount, the NWTC was started in 1988 to again provide traditional skills training to Forest Service employees. 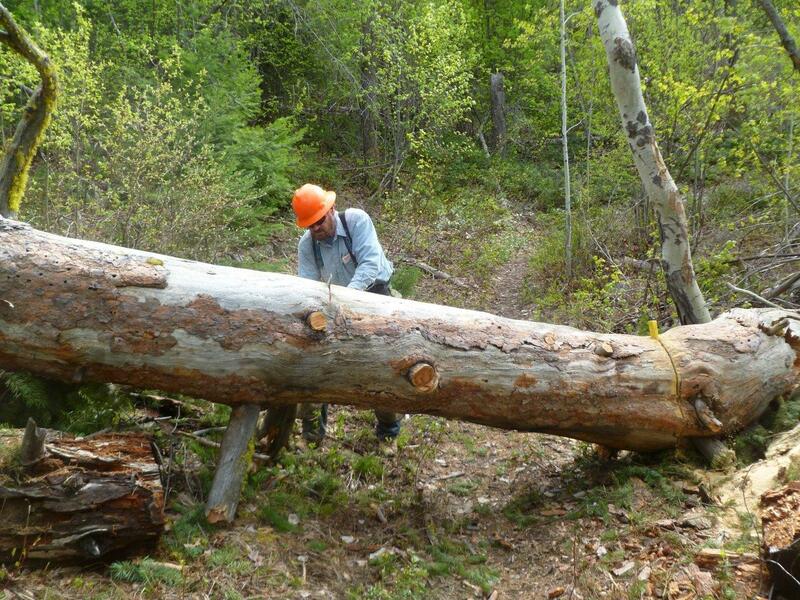 Classes cover all different types of traditional skills: care and handling of traditional tools, horsemanship and packing, historic building preservation and maintenance, and low impact backcountry stock use. Cathy was one of only two members from BCHW sent to join the class of learners and experts in crosscut saw sharpening. She found it to be a fabulous experience and worked long hours for 4½ days learning the many tricks and skills of the almost lost art of crosscut saw sharpening. There were 6 students in her class and 2 instructors from around the west. She was in the company of Forest Service workers, Pacific Crest Trail and 100 mile runners and others in love with learning the art of crosscut saw sharpening. It was a “family” of learners and experts. 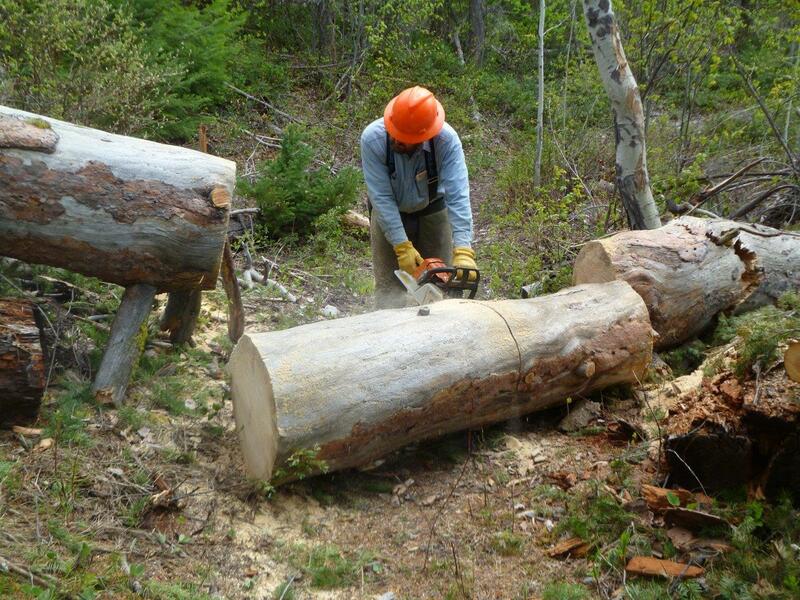 Cathy remarked “I should be pretty good after 1,000 saws!" The 2017 Rendezvous — An Annual Adventure! Eight MVBCH members attended the 2017 Rendezvous for meetings, great food, and fun! Betty Wagoner, President Cathy Upper, Kay MacCready, DK Williams, and Mary Pat Bauman enjoyed the full 3 days, and Linda Seaman arrived Saturday afternoon and stayed though Sunday noon. Donna and Pete Stoothoff had a short stay, too; they arrived to participate in the Sawyer program on Friday and then returned home to other obligations. Cathy received the well-deserved “Lopper Award” for “demonstrating outstanding commitment and dedication to their chapter or to BCHW by participation and promotion of what the BCHW Mission Statement stands for.” Linda received the “Desk Jockey” award for being “one of the behind the scenes people, always at a computer or running from meeting to meeting. They keep the wheels of our organization turning.” Both Cathy and Linda appreciate the recognition of their work!